On 14 April 2016, Mr. Yuji Majima, Executive Deputy Managing Director of Panasonic Asia Pacific, opened Panasonic New Zealand’s brand new kitchen showroom facility late last week. Located in Panasonic New Zealand’s head office in Highbrook, Auckland, the brand new kitchen showroom facility showcases Panasonic’s brand new collection of built-in kitchen products, including full-size ovens, combination ovens and induction hobs, as well as Panasonic’s extensive range of refrigerators, laundry products, microwaves and kitchen appliances including bread bakery, multi-cookers, and blenders. Mr. Yuji Majima proudly opened the new kitchen showroom facility in a small celebratory ceremony with the Panasonic New Zealand team. Mr. Yuji Majima gave a speech, which was followed by a ribbon cutting ceremony and a plaque was placed at the entry of the facility to celebrate the occasion. Designed to provide a state-of-the-art training space for dealers and customers, Panasonic New Zealand will be able to demonstrate the exciting new features and stunning designs of their built-in kitchen range, in a fully-functioning kitchen environment. 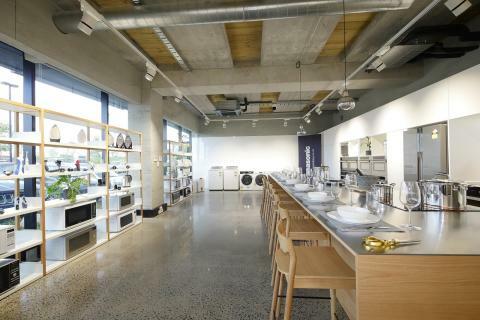 In addition, Panasonic New Zealand’s kitchen showroom can be viewed by designers and their customers. It will give potential customers an opportunity to browse the kitchen appliances range, test out the products, and learn more about features and design options for their own kitchen spaces. Nick Tongue, Director of Sales and Marketing at Panasonic New Zealand said: “A key focus for Panasonic New Zealand in 2016 is offering our dealers more extensive training for our product range. Our new built-in ovens and cooktops have a wide-range of innovative and exciting features which are best demonstrated in a hands-on environment. With our new kitchen showroom, our dealers and customers will be able to get a taste of what our kitchen range has to offer in a modern and stylish space. We couldn’t be more delighted!” says Nick. Furthermore, the Panasonic New Zealand kitchen will be used to create a new range of Kiwi recipes for the ‘Recipe Kitchen’, a collection of recipes on Panasonic New Zealand’s website. Panasonic New Zealand has plans to partner with Kiwi chefs to create a range of delicious and easy recipes which will be shared with customers in email newsletters and on social media, and will further promote the new range of ovens, cooktops, and range of kitchen appliances. 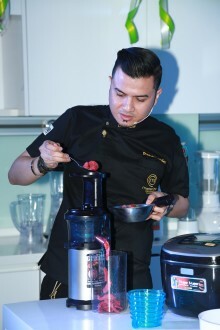 In reaching out to Asian women and their families aspiring for premium lifestyles, Panasonic Appliances Asia Pacific, the regional consumer marketing arm of Panasonic, has launched the ASPIRE Project. 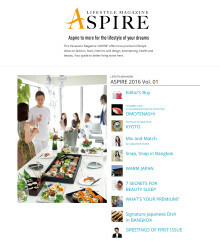 To kick start the project, the company will roll out the ASPIRE lifestyle magazine and website today.